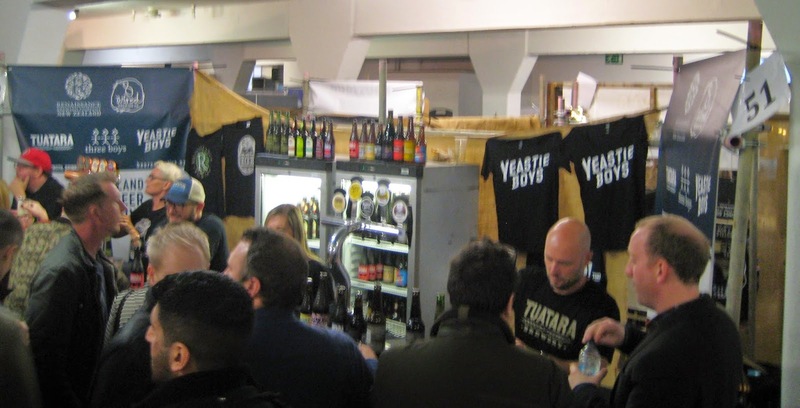 My first thought on entering Craft Beer Rising last Thursday was “What a zoo!” and the second was that although it seemed crammed with people, it was smaller than I expected. Then I spotted a doorway through which was another room, also crammed with people, then I saw another doorway, and another, and.... There is a logic to it somewhere, and a floor-plan in the programme, but on the ground it's labyrinthine. This impression was accentuated by architecture reminiscent of a multi-storey car park, and the many bars apparently constructed of wood and hessian. Once I started to look around, there were bars everywhere – and from such a variety of names. 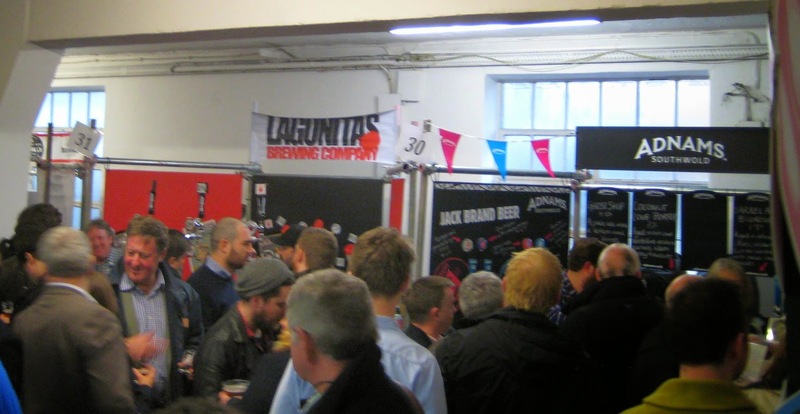 Many of the old family brewers were there, but so were pretty much all the 'names' from modern craft, plus there were a goodly number of overseas brewers, some distributors, and even a few craft cider producers. 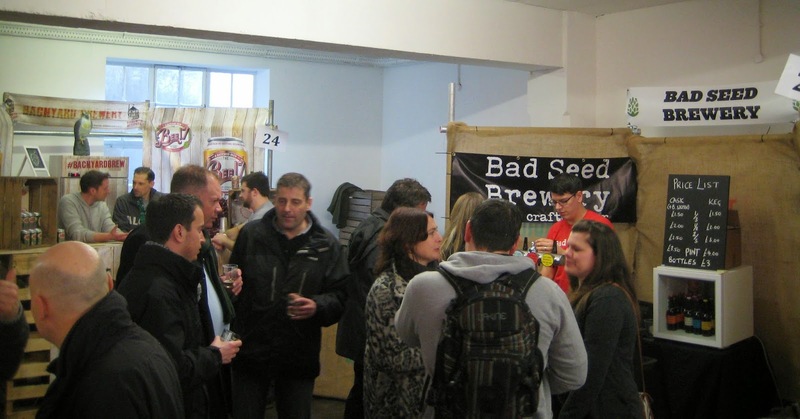 And all of them had drinks for you to sample in your third-pint festival glass – or to buy a bigger measure if you wanted. Anyway, 9pm and session-end came all too soon – I could easily have spent the whole weekend there. Such is life.